Jeanne M. Lillie, 71, of Conneaut, OH, passed away unexpectedly Sunday evening, August 26, 2018, at her home. She was born October 28, 1946, and was a daughter of the late Raymond N. and Mae (Lawrence) Dennis. A 1964 graduate of Rowe High School, Jeanne was a lifelong resident. She was employed at the former Pelton Department Store, Brown Memorial Hospital in the kitchen and lab, and at Webb Manufacturing. She also worked for Dr. Droese at the Conneaut Animal Hospital. She did home health care at Maples and later continued doing personal home health care. Jeanne was a member of New Leaf United Methodist Church and the Women of the Moose. She was also an Avon representative for many years. 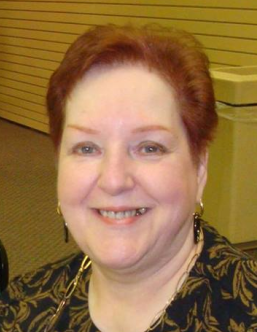 She served as a precinct poll worker, and was a board member of the Ashtabula Senior Center. She enjoyed Senior bus trips, shopping especially QVC, and bowling. She especially loved being with her grandchildren, and her dogs. Survivors include her husband Jerry H. Lillie, whom she married May 28, 1966; three daughters, Stacey Lillie of Plymouth Township, OH, Vicki (Eric) Kallio of Leroy Township, OH, and Jennifer Eubank also of Plymouth Township, OH; two sisters, Carol Jewell of North Kingsville, OH, and her twin Janie Caudill of Viera, FL; six grandchildren, Erica, Frances, Kai, Eliina, Sebastian, and Matthew; six great grandchildren; nieces, nephews, and more distant relatives. She was preceded in death by her parents in 2001. Funeral service will be at 10:00 A.M. Friday, August 31, 2018, at the Marcy Funeral Home and Cremation Center, 208 Liberty St., Conneaut, OH, with Pastor Jan Walsh of New Leaf United Methodist Church officiating. Calling hours will be at the funeral home from 6:00 to 8:00 PM, Thursday. For those who wish, memorial contributions may be made to the Animal Protective League or to the Music Fund of New Leaf United Methodist Church. Envelopes will be available at the funeral home. Please sign the guestbook at www.marcyfuneralhome.